Maintaining your home's garden or driveway is essential if you want to keep your landscaping looking great. It can also prevent costly damage. Ricky Tyler Landscapes offers specialist spraying services to help with this maintenance to customers throughout Hertfordshire. Using the latest products and equipment, we can safely spray your garden and drive as part of our cost efficient maintenance services. 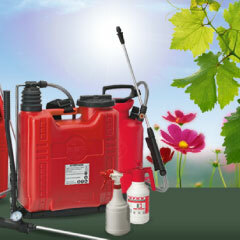 This can keep your landscaping weed-free all year long, and keep your drive and other hard surfaces clean and safe. With so much that can be managed by spraying, we can offer a customised spraying service to meet each homeowner's personal needs. All of our spraying services are carried out by fully trained and certified operatives. This means you can be sure the spraying is being done correctly and safely. By offering a top quality service at an affordable price, we have built up a reputation as a trusted provider of landscaping services in Hertfordshire. To find out more about what we can offer you, or to schedule a spraying service, get in touch with us today! 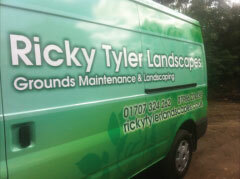 Ricky Tyler Landscapes can provide gardening and grounds maintenance services including Specialist Spraying Services covering London, Essex, Hertfordshire, Northampton, Buckinginghamshire & Bedfordshire .